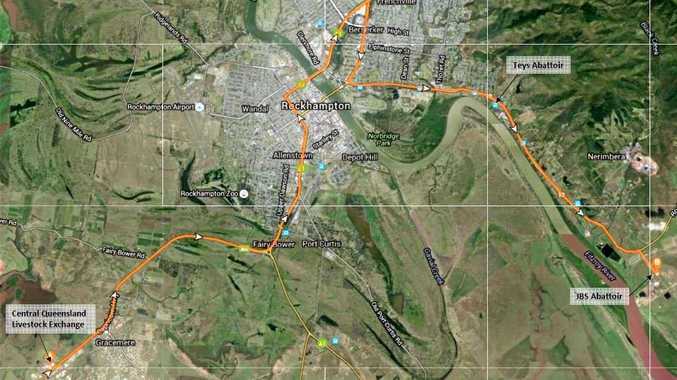 A $20 MILLION injection into upgrading roads to allow road trains through Rockhampton will also be a boost to the region's economy. The Federal Government announced today that it was committing $20 million towards the upgrade of the road between the Gracemere Saleyards and Rockhampton abattoirs on Emu Park Road. Rockhampton MP Bill Byrne welcomed the announcement which will top up the $10 million allocated by the State Government in March. He told The Bulletin yesterday that he had a briefly with the Department of Main Roads the other day which indicated the design and consultation phase of Stage 1 was near an end. "I do know there are other works that could occur along that route that could enhance that," Mr Byrne said. He said the extra funding commitment by the Federal Government was timely as the processing side of the beef industry was struggling at the moment. The Federal Government announcement today is for Stage 2 of this project. 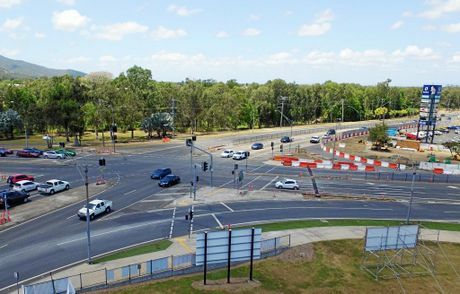 Mr Byrne earlier this year outlined the plans which include the upgrade of both intersections at Moores Creek Road and Musgrave Street and Queen Elizabeth Drive and Lakes Creek Road (Bridge Street) intersection. "These upgrades, once complete, will cater for larger Type 1 road train vehicles to utilise the intersections, which will ultimately save the industry time and increase freight efficiency to the abattoirs." Mr Byrne's comments indicate the new route will see road trains travel across the Neville Hewitt Bridge onto Moores Creek Rd before take a right turn at the intersection of Moores Creek Rd and Yaamba Rd swinging around Stockland before travelling down Moores Creek Rd onto Queen Elizabeth Dv and turning onto Emu Park Rd. "The Beef Roads Programme recognises moving cattle from the farm gate to market involves some of the longest and most challenging land transport distances of any industry, anywhere in the world," Minister for Infrastructure and Transport Darren Chester said. "The Australian Government has committed over $56 million toward targeted road upgrades and improvements, providing a welcome boost to the Queensland cattle industry," Mr Chester said. "This commitment will enable 15 projects to be delivered including $20 million towards the upgrade of the road between Gracemere saleyards and the Rockhampton abattoirs. "Other projects range from sealing and road widening works that will help boost industry productivity, to increasing road reliability and safety on key routes in the cattle supply chain." "The Beef Roads Programme recognises moving cattle from the farm gate to market involves some of the longest and most challenging land transport distances of any industry, anywhere in the world," Mr Chester said. "I would like to thank Mr David Crombie Director of Australian Agricultural Company and Mr Troy Setter CEO of Consolidated Pastoral Company Pty Ltd for the role they played in helping identify priority projects. "These proposals have also been modelled by the CSIRO's TraNSIT model to help identify which proposals delivered the greatest benefits to the northern Australian beef industry." Minister for Resources and Northern Australia Matthew Canavan said the Australian Government was committed to realising the potential of northern Australia. "The beef industry is the big winner from these investments. With beef prices at record levels, a bigger beef industry is a big part of developing Northern Australia," Senator Canavan said. "The upgraded roads will also provide benefits to all road users, including other agricultural industries and the freight sector more broadly." The Australian Government is investing up to $100 million in northern Australia under the Beef Roads Programme. The Queensland government is investing $19.19 million. Minister for Main Roads and Road Safety Mark Bailey said it was good to see the Turnbull Government has finally announced their 80 per cent funding for the joint Federal/State funded Beef Roads Programme. "While I welcome this announcement, it's disappointing the Turnbull Government has been sitting on their hands since first announcing this program in June last year," he said. "That's nearly 16 months we could have got these roads projects up and running, bringing infrastructure and jobs to regional Queensland. "It's also disappointing that there is still no mention of the Northern Australia Roads Programme (NARP) funding which was announced at the same time. "The Turnbull Government is currently sitting on $220 million of unannounced investment for North Queensland roads under the Northern Australia Roads Programme (NARP)." He said the State Government has had its 20 per cent for both programmes on the table since June ready to go. "I'm again calling on the Turnbull Government to announce the $220 million of NARP investment for North Queensland roads, get the money flowing so we can get these works underway," Mr Bailey said.